Holy Cow, I didn’t think it was possible for anyone at CNN to out-stupid Jim Acosta, but I was wrong. If there were an Emmy Award for being stupid on a news network, Symone Sanders would win by such a significant margin they might name the award after her. 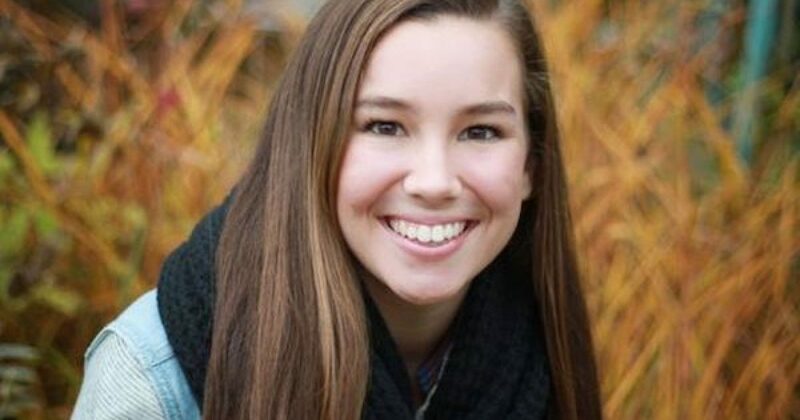 The CNN commentator claimed that the murder of Iowa college student Mollie Tibbetts had nothing to do with illegal immigration (or as she called it, a person without papers) no Symone says poor Mollie would be home with her family today if it weren’t for “toxic masculinity.” Hey, Symone if the SOB who murdered her were where he was supposed to be (in a different country) Mollie Tibbetts wouldn’t have been separated from her family. Before I get to the toxic masculinity part, allow me to explain why Symone’s use of undocumented is proof you can’t fix stupid. About five years ago at the urging of the PC bullies the news media and liberal politicians decided the term illegal alien (or immigrant) does not accurately describe the people who are breaking the law by their continued presence in the United States and from that time forth they will use the term “undocumented immigrant.” But a look in the dictionary supports the use of illegal, and alien or immigrant for anybody who is not a U.S. citizen surreptitiously crossing the border without permission. Alien: An un-naturalized foreign resident of a country. Also called non-citizen. The term, undocumented doesn’t work especially if one uses the term the same way the PC Police exploit it. But that didn’t stop the Library of Congress which had proposed no longer using illegal immigrant, saying that despite being used in law, the term had “become pejorative” and needed to be axed. Instead, the library said it would use “noncitizen” to refer to illegal immigrants, and “unauthorized immigration” to refer to the broader issue. If I steal a car and the cops come to my house asking me to show papers proving its ownership am I a car thief or an undocumented car driver? If I kidnap a child and I’m asked to display the kid’s birth certificate to prove parentage, am I an undocumented parent, or a kidnapper? If a thief breaks into my house, are they undocumented residents or are they criminals who are trespassing? And if Symone doesn’t have a doctors note explaining her mental deficiency is she an imbecile or an undocumented moron. Let’s get this straight, Cristhian Bahena Rivera, the SOB who admitted to killing Mollie Tibbetts is more than an Illegal Alien. He is an illegal alien and a murderer. And there’s more. According to his lawyer, the scum that killed Mollie came to the US as a minor–yep DACA eligible. No one is saying that all illegal aliens are sick scumbags like Cristhian Bahena Rivera, and it doesn’t matter, because whether they are murderers or school crossing guards, they are in this country illegally. What makes it worse is when one of the illegals turn out to be a killer it is so much more of a crime because it didn’t have to happen. If the law was enforced, or if Barack Obama didn’t cancel the double fence called for in the secure fence act of 2006 when he became president Mollie wouldn’t have been murdered. And Symone Sanders wouldn’t have to tweet out such stupid nonsense. How do they let her out of the house without a helmet? No Symone you are defiling the life of Mollie and everyone else who was ever killed by an Illegal Alien, be it murder, drunk driving or whatever. Allow me to suggest the best commentary of what you said may be found in the movie Billy Madison.